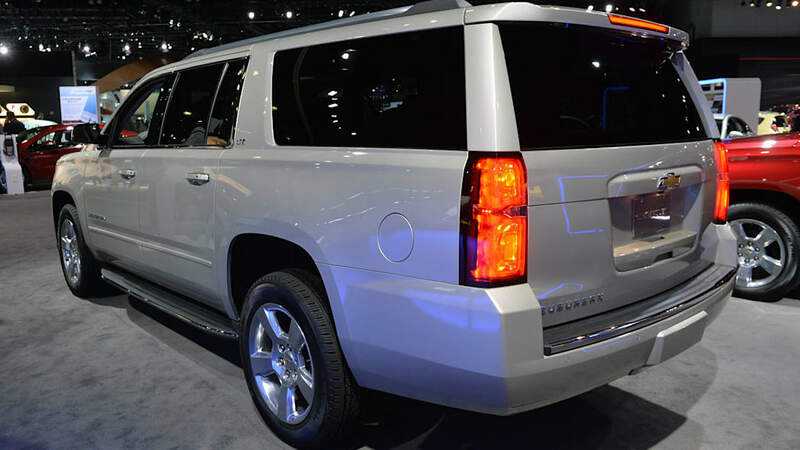 The Chevrolet Suburban and its short-wheelbase cousin, the Tahoe, have both seen significant redesigns, which are being shown off live at the 2013 Los Angeles Auto Show. 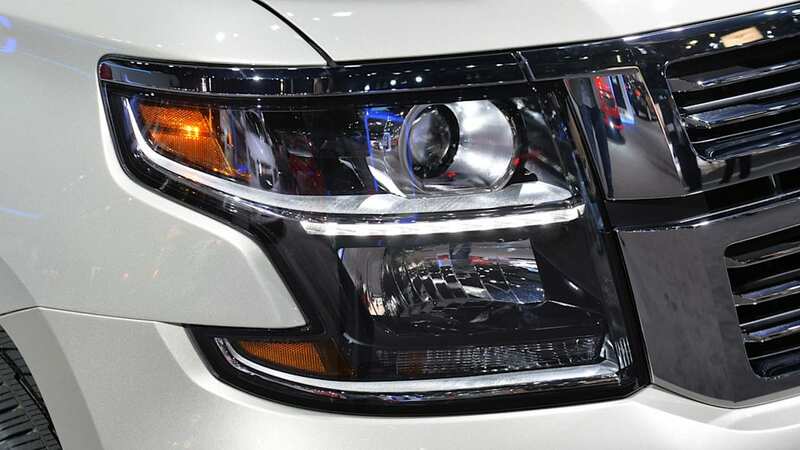 The new looks, with the dual-tiered headlights and bold grille aren't a radical departure from the current Suburban/Tahoe's design. Accompanied by an overhauled interior, the new models are a solid improvement over the previous models. Unlike the rest of GM's large, truck-based SUVs, the Tahoe and Suburban's engine bay is home to a 5.3-liter V8, rather than the brawnier 6.2-liter found in the Escalade and Yukon. With 355 horsepower and 383 pound-feet of torque, it's still more potent than the previous models' engines, but is down considerably on the 420 hp and 460 lb-ft of torque in the higher-end SUVs. Despite the lower power output, the 5.3 is fitted with the same suite of fuel-saving features found on the other GM SUVs, including active fuel management with cylinder deactivation. 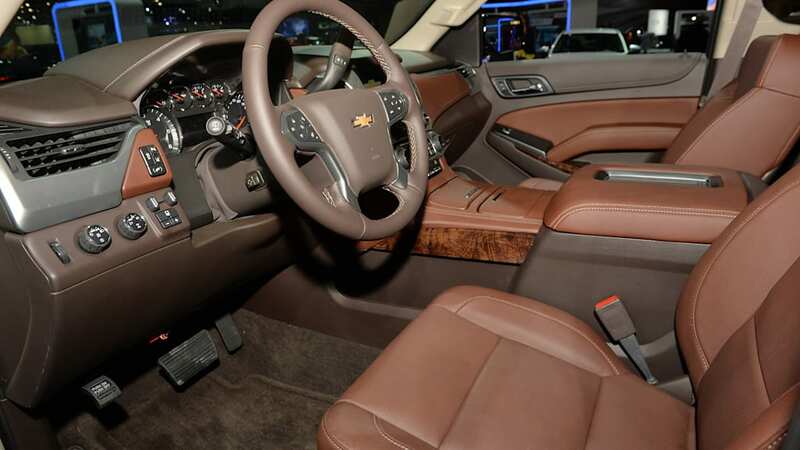 In the cabin, Chevrolet's MyLink system sits front and center on higher-end models, complete with an eight-inch touchscreen. Push-button start is the marquis standard feature, although other items like power fold-flat seats, 20- and 22-inch wheels are optional extras. 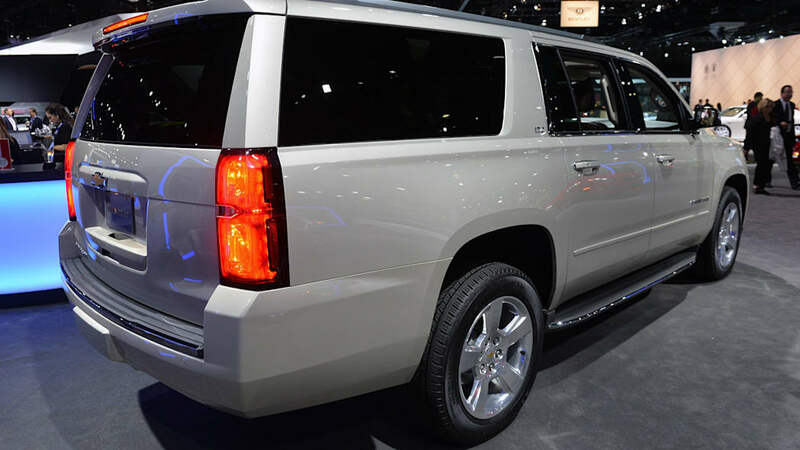 We'll follow up with more on both the Tahoe and Suburban as it becomes available. Until then, hop up top for a live gallery or down below for the press release from Chevy. 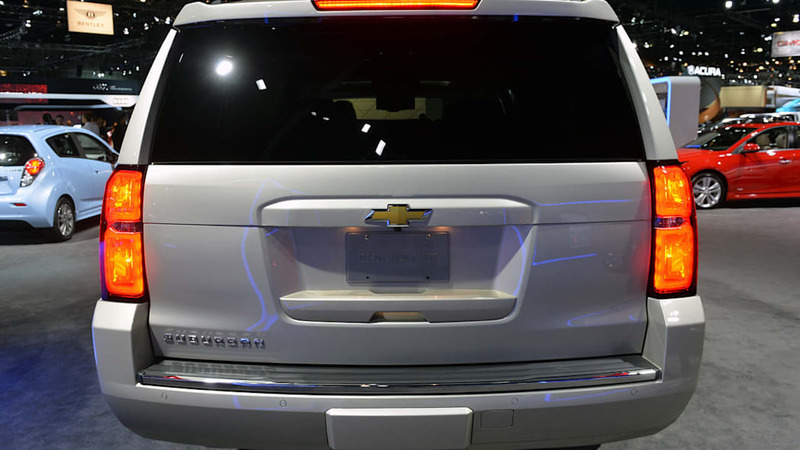 NEW YORK – Chevrolet today introduced the 2015 Tahoe and Suburban – all-new versions of the industry's best-selling duo of full-size SUVs. They are designed to be more functional and refined while offering more safety features and a greater range of advanced technologies for today's connected customers. All-new styling advances the Tahoe and Suburban's design deliver improved aerodynamics which contribute to a quieter ride. More-efficient, direct-injected A more efficient EcoTec3 powertrain coupled with improved aerodynamics help offer greater estimated highway fuel economy based on GM testing while preserving overall performance and capability. Official EPA estimates are not yet available. 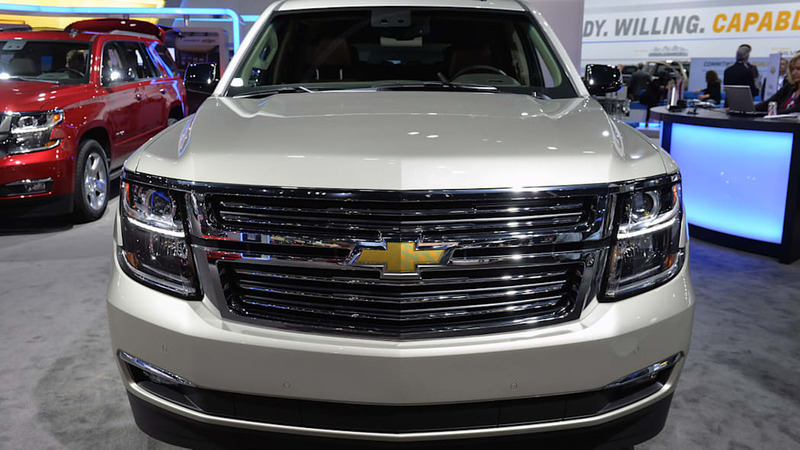 "There are several new features and enhancements at the core of the all-new 2015 Suburban and Tahoe that will extend the legacy Chevrolet has built as the segment leader," said Tim Mahoney, Chevrolet global chief marketing officer. "Customers will experience greater refinement, efficiency and safety with the same capability that has made Chevrolet the go-to brand for full-size SUVs." With more than 117,000 sold in 2012 and sales up more than 16 percent for the first six months of 2013 over last year. Chevrolet's full-size SUVs continue to play an important role in the brand's success and General Motors' profitability. Introduced in 1935, the Suburban is the segment's founder and the industry's oldest continuously available nameplate, while Tahoe is the segment's sales leader. 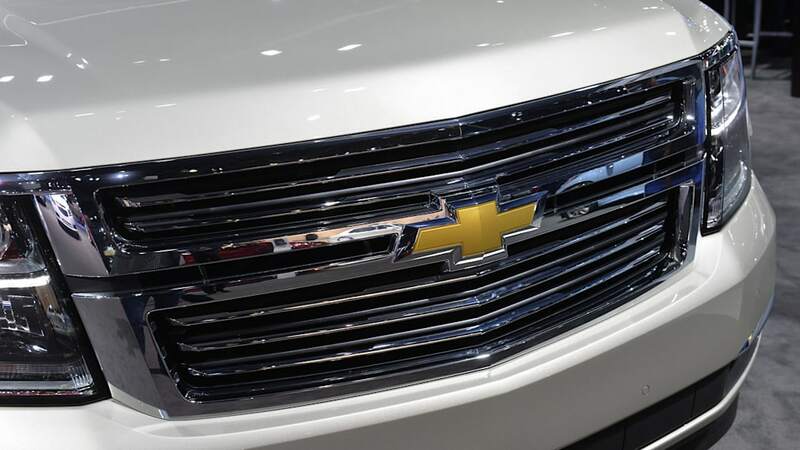 "The Chevrolet Tahoe and Suburban will continue to be dominant forces in the marketplace and provide great value for our customers, Chevrolet and General Motors," said Dan Ammann, GM executive vice president and CFO. "This is an important and profitable segment and we have set the bar high to ensure we provide our customers with great quality and performance they expect and deserve." 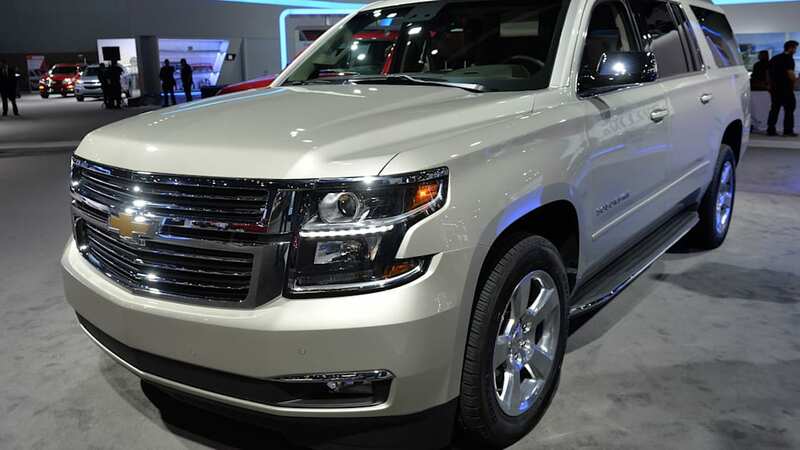 The all-new 2015 Suburban represents the 80th anniversary and 12th generation of the original SUV. This generation has been designed for today's active families needing space for everyone and everything. Suburban continues to offer legendary roominess, unmatched functionality and first-class amenities. - Keyless entry and push-button start. Tahoe and Suburban incorporate new technologies – including radar – that contributes to 360 degrees of crash avoidance and occupant protection. Standard and available features include forward collision alert, front park assist, lane departure warning, lane change assist, rear cross traffic alert and adaptive cruise control. Chevrolet's Safety Alert Seat is available and offers directional vibrations to alert the driver about potential crash threats. Both vehicles also offer the segment's only front-seat center air bag (bucket-seat models), which is engineered to provide additional protection for drivers and front passengers in far-side impact crashes, where the affected occupant is on the opposite, non-struck side of the vehicle. Chevrolet's full-size SUVs have also been designed with greater security features to thwart theft attempts, including available window break in or glass-break, vertical-movement and interior movement sensors. Along with triggering the vehicles' alarm systems, some of the features shut down key control systems to make it almost impossible to start or move them. 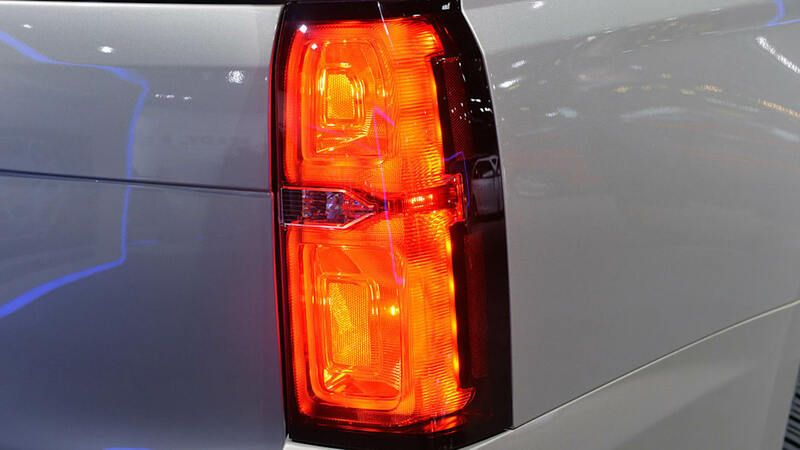 The exterior designs of the 2015 Tahoe and Suburban are more refined and precisely sculpted. Not a single exterior sheet metal panel or lighting element is shared with Chevrolet's full-size pick-ups. "The designs of the all-new Tahoe and Suburban reflect their greater functionality, technology and refinement, forging a new presence for Chevrolet SUVs that's conveyed with unmistakable brand heritage," said Ken Parkinson, executive director of design. 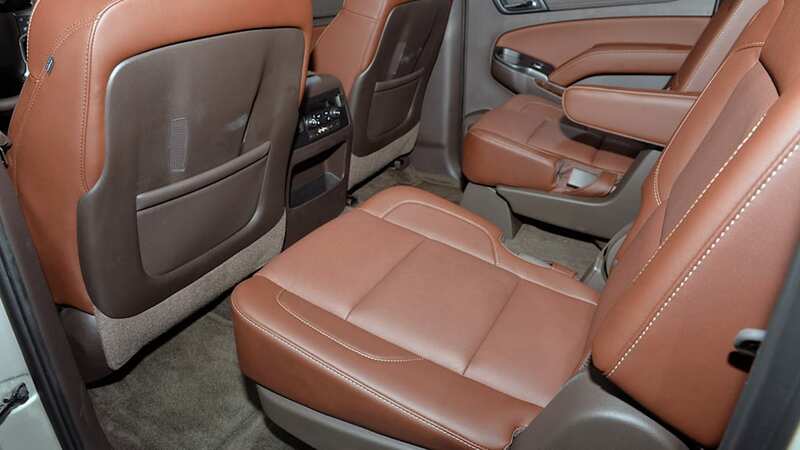 Inside, premium materials and enhanced ergonomics demonstrate the Tahoe and Suburban's blend of sophistication, craftsmanship and function. A new instrument panel houses an available eight-inch color touch screen radio with a secured storage bin behind the motorized screen. 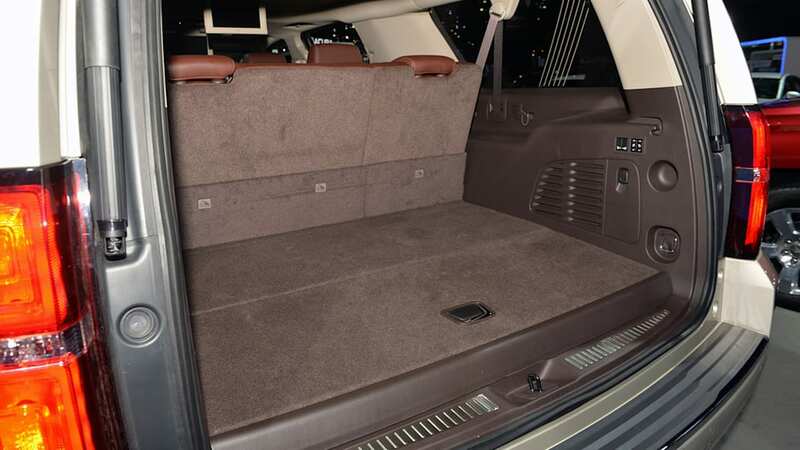 The compartmentalized center console is large enough to store a laptop or iPad. 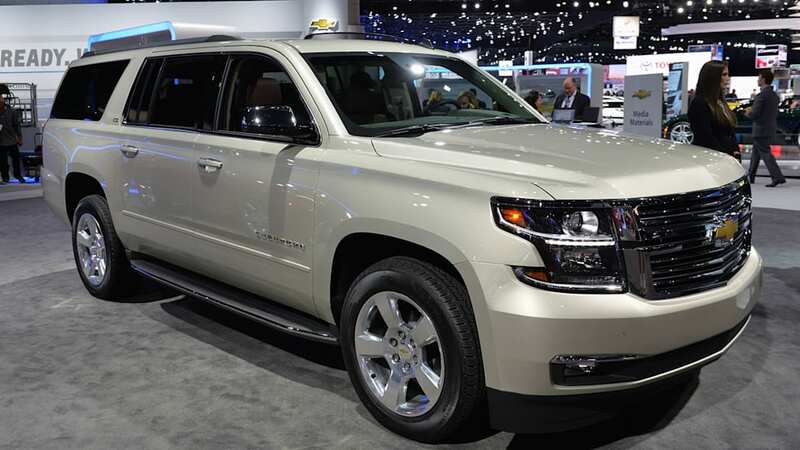 The 2015 Tahoe and Suburban are engineered to deliver the customer a quieter, more-controlled ride and improved steering and braking feel. It all starts on a stronger, fully boxed, perimeter frame, which supports payload and trailering capability that body-frame-integral crossovers and SUVs can't match. 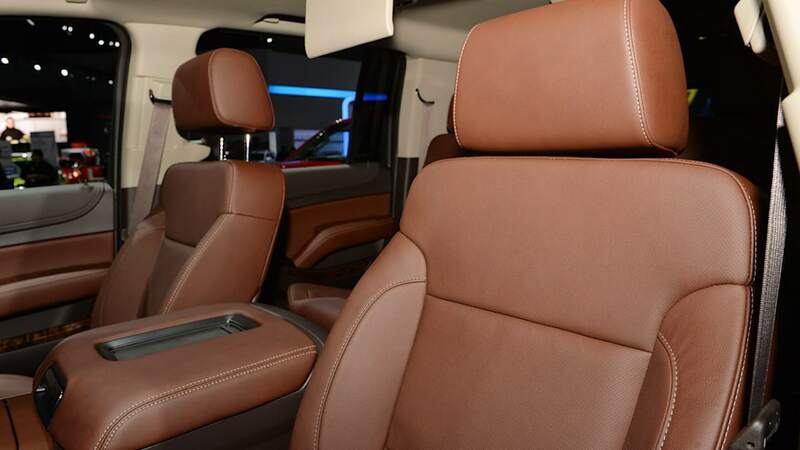 The all-new Tahoe will offer today's customers the capability of a truck and the amenities of a luxury vehicle. - LTZ models include third-generation magnetic ride control, a real-time damping system that delivers more precise body motion control by "reading" the road every millisecond and changing damping in just five milliseconds. 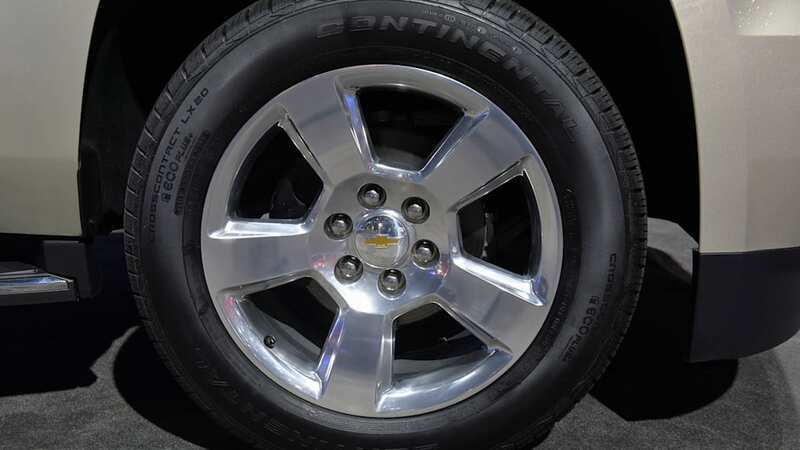 - Eighteen-inch standard wheels that are a half-inch wider, reducing tire flex for improved cornering performance. Twenty- and 22-inch wheels are available. - New, electric variable-assist power steering system enhances fuel economy and tailors steering assist to vehicle speed. - New four-wheel-disc brake system with Duralife™ brake rotors that offer up to double the service life, along with brake pedal revisions that improve pedal feel for stronger-feeling, more-confident braking performance. Tahoe and Suburban's standard 5.3L V-8 feature state-of-the-art technologies, including direct injection, cylinder deactivation, continuously variable valve timing and an advanced combustion system, designed to make the most of power, torque and efficiency across a broad range of operating conditions. The new Tahoe and Suburban will be built at GM's Arlington, Texas assembly plant. Both vehicles are scheduled to arrive in dealerships in the first quarter of 2014.